The Institute for Rural Health at WKU has received a $120,000 grant from the Jessie Ball duPont Fund for theSaving the Teeth of a New Generation of Kentuckians project. This initiative will provide preventive dental care, oral health education, and oral hygiene instruction to underserved, rural children residing in the Barren River Area Development District, which includes Logan County. The funds will be used for the IRH’s Saving the Teeth of a New Generation of Kentuckians project. This initiative will provide preventive dental care, oral health education, and oral hygiene instruction to underserved, rural children residing in the Barren River Area Development District (BRADD). In the course of two years, the Saving the Teeth of a New Generation of Kentuckians project will serve approximately 1,600 children and provide more than 5,400 services in underserved, health professional shortage areas of rural Kentucky. Tooth decay adversely affects children residing in rural Kentucky. Tooth decay and associated pain are consistently among the top reasons for absenteeism from school. However, dental decay is a preventable disease, and the Saving the Teeth of a New Generation of Kentuckians project focuses on preventing tooth decay before it occurs. 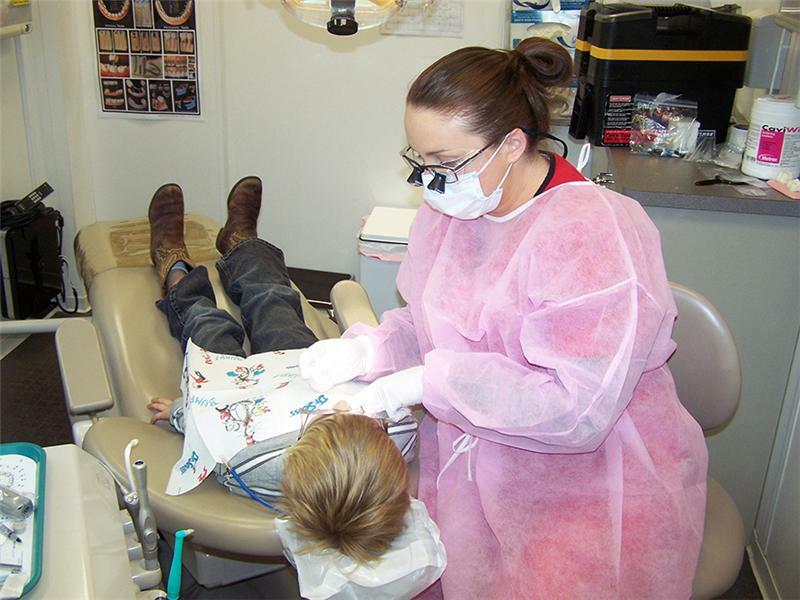 Three common obstacles that prevent individuals living in rural, underserved areas from receiving dental care are financial, geographical and educational barriers. In the past 14 years, the IRH has provided valuable educational experiences for students in several of the College of Health and Human Services (CHHS) majors, including Nursing; Dental Hygiene; Social Work; Public Health; Kinesiology, Recreation, and Sport; and many more. Students within the College of Health and Human Services have logged in excess of 17,800 hours in patient care and education at the IRH. “This is a momentous gift not only for IRH, but also for our College. This is the type of gift that is congruent with the future direction of CHHS – applying real world knowledge and solutions to better accommodate underserved southcentral Kentuckians,” said Dr. Neale R. Chumbler, dean of the College of Health and Human Services. The IRH has had more than 53,000 patient encounters since 2001. “Continued success of the IRH means that students at Western Kentucky University will have patient care experiences in the field and members of rural communities will receive dental care, oral health education, and oral hygiene instruction, which are essential components of the IRH’s mission,” Hunt said. To learn more about the Institute for Rural Health’s outreach, visit http://www.wku.edu/irh/.